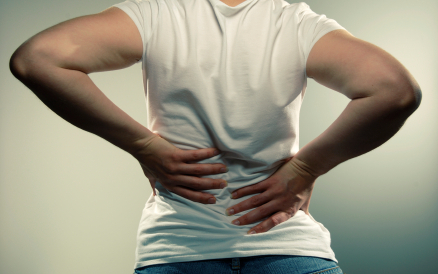 Over 80 percent of the population will experience low back pain at one point or another. Back pain is the number one reason for missed workdays and the second highest reason for visits to the doctor. Because your back is a complex structure of bone, muscles, joints and nerves, there are many different reasons you could attribute to back pain. And, believe it or not, smoking is just another one to add to the list. Researchers have discovered several contributing factors to low back pain, including a lack of exercise, poor work ergonomics and a high body mass index. Numerous studies also confirm that people who smoke are three times more likely to experience chronic back pain than non-smokers. Smoking doesn’t just affect your lung health; it increases your risk of neck, shoulder and joint pain as well as intervertebral, or spine, disc disease. Although your body is remarkably resilient, smoking can negatively affect its ability to use nutrients and heal. Studies demonstrate that smoking contributes to atherosclerosis, which is a buildup of plaque inside your blood vessels. The condition reduces the supply of blood and oxygen to areas fed by small capillaries, such as the vertebrae and the discs that cushion the bones of your spine. A lack of blood supply can impede your spine’s ability to heal. Smoking may also damage the tissue of your lower back and other parts of the body. It increases the breakdown of existing bone and reduces your body’s ability to generate new bone. An addictive substance, nicotine has been shown to inhibit the activity of osteoblasts, which are specialized cells that help build bone tissue. Smoking also reduces the absorption of calcium that you need to build strong healthy bones. Over time, these negative side effects can lead to osteoporosis as well as degeneration of your bones and discs, which may cause back pain. Nicotine interacts with proteins that play a crucial role in the central and peripheral nervous system. This may inhibit the hormones and chemicals that your brain uses to detect and process pain stimuli. As a result, smokers persistently experience more intense and longer lasting back pain. While the exact connection between smoking and back pain is complex and still being investigated, this should give smokers yet another reason to quit. Doug Johnson helped create North American Spine and manages all medical staff, in addition to training physicians in proper AccuraScope® procedure techniques.